Let me start off this post by saying that my family is completely hard to please when it comes to vegetables. It can be difficult to make vegetables fun for your family, and when there are ways to make them fun it takes more time, which as a busy mom I do not always have. One of the varieties of Birds Eye Flavor Full vegetables that I found while shopping was Buffalo Cauliflower! As soon as I saw it I immediately thought of game day and appetizers! I knew that these spicy buffalo seasoned cauliflower florets would pair perfectly with my whipped blue cheese dip. I also knew that this would be a fun way to bring cauliflower to the table! This dip is so simple to make! In a food processor combine blue cheese, cream cheese, and water until fully blended. Whip whipping cream until peaks form. 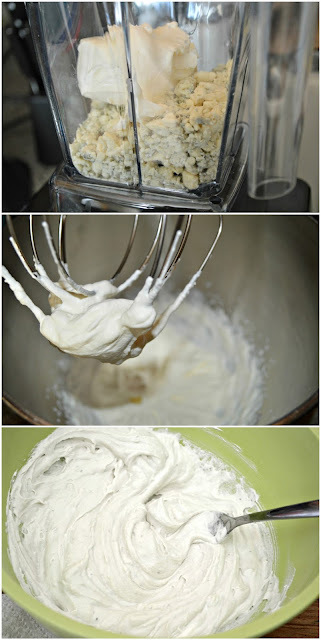 In a bowl combine cheeses and whipped cream. I use a fork so that I can continue to whip while I mix. Once fully mixed add in salt and pepper. Top with green onions or combine into the dip! 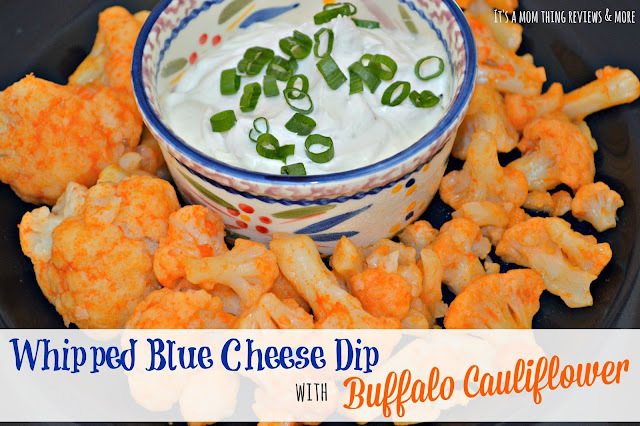 Serve with Birds Eye Flavor Full Buffalo Cauliflower! There are so many other varieties of Birds Eye Flavor Full veggies too! My favorite are the Sour Cream and Onion Potatoes! Can you say "yum"?! I love that these vegetables make my family excited when they come to the table and see things like broccoli and cauliflower! How can we say no to something that combines taste and nutrition? Bring fun and flavor to your table by purchasing Birds Eye Flavorful vegetables! You can even save $1.00 by printing a coupon HERE!